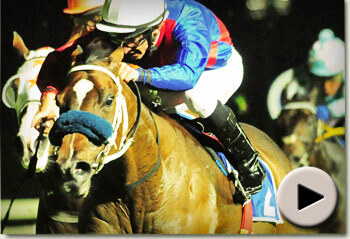 SITHELA is a graduate from the Summerhill draft of the 2010 Emperors Palace Ready To Run Sale. 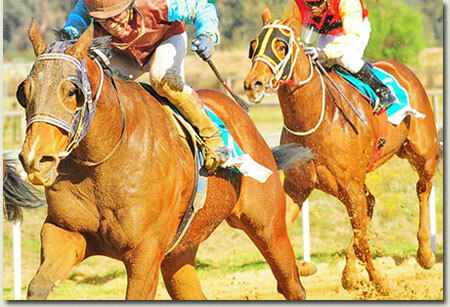 Gold CircleThe Emerald Cup, the richest sand race in Africa, will be run in just over a week’s time on Saturday, September 24 at The Vaal and it is a good time to look at what characteristics a horse needs to have success on this surface. In America, where most racing takes place on dirt, early speed is everything and horses that are likely to have uncontested leads will usually come in for heavy support. This is in complete contrast to turf racing where horses that go off at top speed make defeat a virtual certainty as they will more often than not be swamped in the straight. On sand or dirt the front runners don’t get swamped because horses coming from behind are unable to produce the same sort of acceleration they can on turf due to the lack of traction. On the 1000m Vaal straight, front running horses can obviously be caught from behind and this is particularly the case when the sand is heavy (generally speaking the sand surface will be faster if there is a lack of wind as the moisture from the watering will be retained). However, it is still noticeable that horses that have the ability to race handy and stay on will do well on the Vaal sand. On turf, the lack of a turn of foot costs them in the finish. While they are running on at one pace, other horses with a strong turn of foot might be flying past. On the other hand the lack of traction offered on sand to the latter type of horse often blunts their turn of foot and they may not be able to get to the one-paced sort running on steadily in front. Thus one can say that the two types of horse that generally do well on sand would be those that can maintain a high cruising speed throughout or those that can produce a sustained finishing run from behind. However, those horses that rely on a short finishing burst at the end of the race are better off on turf. Turf tends to be far less tiring on a horse, so speed holds better, leading to horses being tightly bunched. But on sand, horses that do not have necessary cruising speed are likely to be further out of their ground and there is the added factor of kickback which could see them fall even further back. As far as action goes, good turf horses often tend to waste very little motion in their stride and have a much lower, daisy-cutting action. The rhythm a horse displays on the way down to the start on turf can be a good indicator of how it will run. However, on sand, it is more difficult to pick out horses on the way to the start, as “shuffling” actions often do well on the surface. It might be better to look at the form and see how handy the horse lies in the running and whether it can stay on all the way to the end of the race. Pedigrees are also a useful indicator. In South Africa the progeny of Danzig line sires do well on sand and this particularly appears to be the case in races from sprints up to 1400m. The progeny of Mr Prospector line sires appear to do well over all distances on the sand. Some examples of Danzig line sires are National Assembly and his sons Announce, Sarge and National Emblem as well as Alami, Bezrin, Qui Danzig, Joshua Dancer, Modern Day, Classic Flag, Alado, Newton, Way West, Lizard Island, Fastnet Rock, Makaarem, etc. Some examples of Mr Prospector line sires are Right Approach, Western Winter, Kahal, Count Dubois, Windrush, Goldkeeper, Muhtafal, West Man, Lecture, Miesque’s Approval, What A Prospect, Malhub, Hobb Alwahtan, Fan Club’s Mister, Clash By Night, Parade Leader, Modus Vivendi, Tiger Hunt (female line), Albarahin (female line), etc. There are of course sires outside of these lines that tend to produce good sand runners including Fort Wood. However, using some of the trends mentioned in this article as a guideline can add some value to the traditional form studying methods that are heavily influenced by turf racing in South Africa. 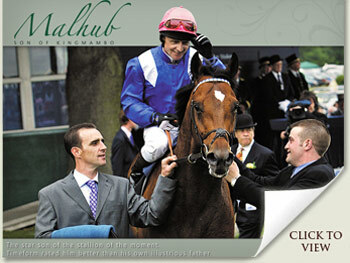 Nobody would’ve believed it, but the time Malhub has taken to reveal his class as a stallion has been unusually long. A Group One winner by one of the best stallions in the world, Kingmambo, his Timeform rating of 126 suggested that he was one of Europe’s top sprinters of his year, so there were high expectations of this fellow. Those with memories, will remember how long it took the first crop of multiple champion sire and our most famous resident, Northern Guest, to get out of the starting blocks, so with hindsight, it’s no surprise that some stallions take their time to develop their reputations. The past two weekends have been illuminating from a Malhub perspective however, Maji Moto posting a 6,75 length runaway victory on his third racecourse start at the Vaal, while Midnight Serenade looks like one of the better youngsters from the current two-year-old crop, as evidenced by his 3,25 length romp in Johannesburg. And then this Saturday, Ormond Ferraris’Oil Tycoon, who’d shown such promise early on, made it two in a row with a commanding success over the highly rated The Assayer. It might’ve been a while in coming, but it’s been worth waiting for. As breeders, you’d always want to accept some responsibility in circumstances like these. Different stallions need different mates, and it sometimes takes a while to get the recipe right. For the first time, we’re entirely comfortable about the talents of the Malhubs in the Ready To Run Mark II (Shongweni showgrounds 23rd February). It seems we’ve found the right mates, and there are some crackers among them. Our advice is that you make sure of watching their gallops and inspecting them (www.summerhill.co.za), and get in before the prices get out of hand. The events of the past couple of weekends won’t have an inordinate impact on prices, so they’ll still represent real value. Sire of FOUR Black type performers last season. facile four length winner on Saturday. 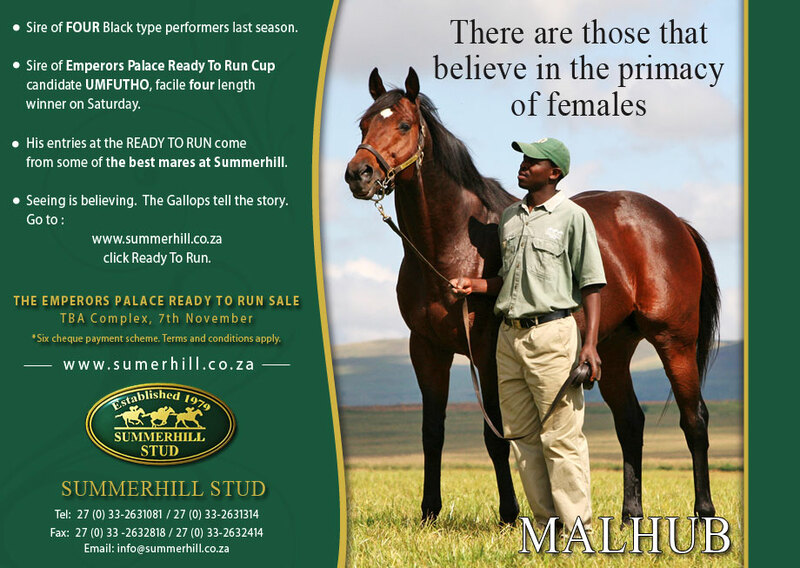 come from some of the best mares at Summerhill. Seeing is believing. The Gallops tell the story. 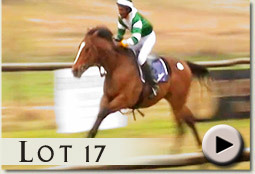 Go to www.summerhill.co.za, click Ready To Run. 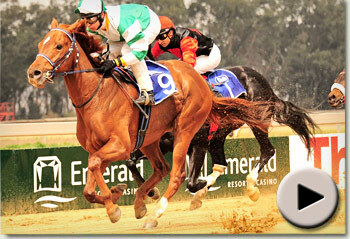 Umfutho is a graduate from the Summerhill draft of the 2009 Emperors Palace Ready To Run Sale. Please click above to watch video. 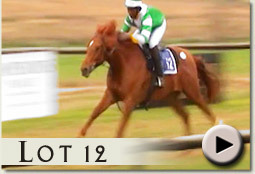 produced by Jimmy Lithgow for Inside Racing, Tellytrack, South Africa. Mick Goss presents the Summerhill Stud Stallions for the 2010 - 2011 season. This formidable lineup includes Admire Main, AP Arrow, Brave Tin Soldier, Kahal, Malhub, Muhtafal, Mullins Bay, Ravishing, Solskjaer and Way West. If you’re in any doubt about your choice of stallion, take a good look at the Leader Board. Summerhill’s sixth consecutive Breeders’ Championship is no coincidence. 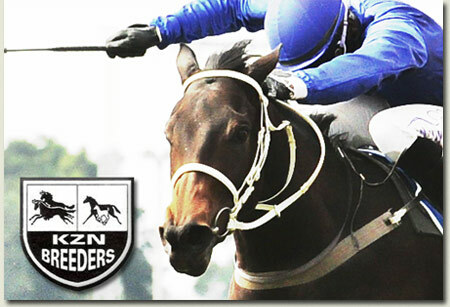 Fundamental in our journey to the “mountain top”, has been our steadfast belief in the Summerhill stallions. To a man, they rank in the top 1% of racehorses of their respective generations. To a man, they have the strains of the best blood on earth coursing through their veins. To a man, they could grace the paddocks of the best farms in the world. just look at the leader board.